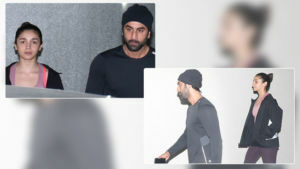 Ranveer Singh returned from Dharamshala where he has gone for training with former cricket players. The training was for his upcoming movie '83'. Ranveer greeted his fans as he reached the airport. Fans went crazy to get selfies with the star. 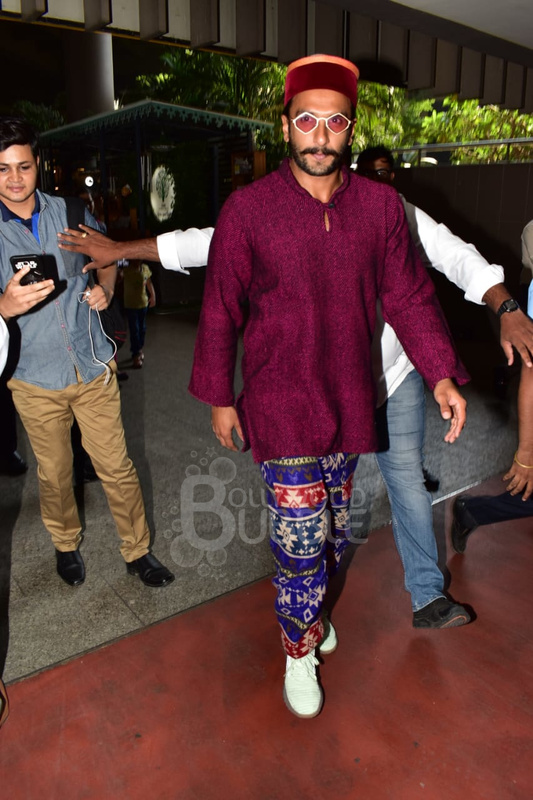 The 'Padmaavat' actor has a great fashion sense. 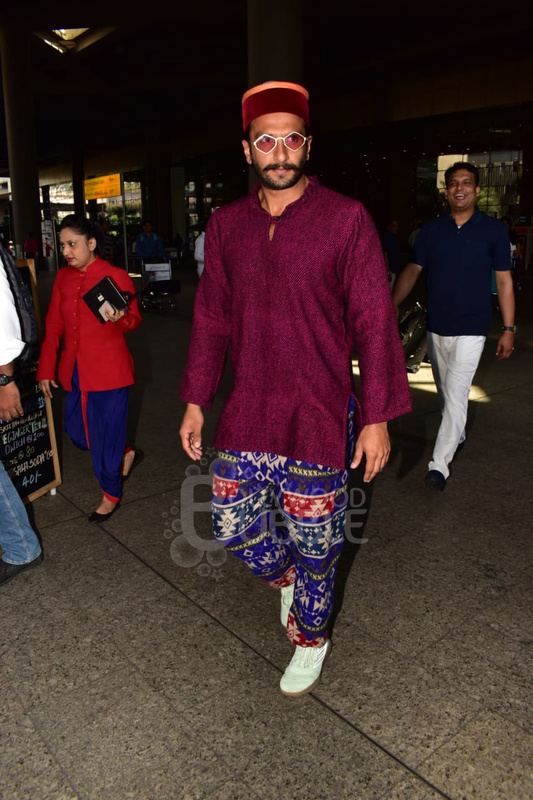 He was seen wearing a purple kurta and a pair of multi-coloured pants. He completed the look with a pair of white shoes. What caught our attention was the traditional Himachali cap which he might have got from Dharamshala. Ranveer rocked the Indo-fusion look and he looked stylish as always.